Almost a century after its publication, Lytton Strachey’s Eminent Victorians remains a landmark work in the field of biography. 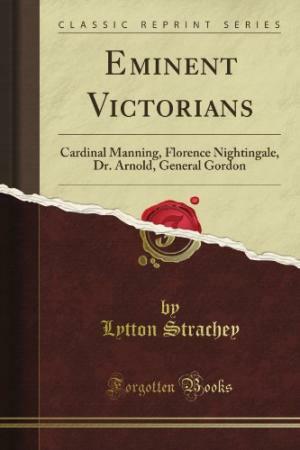 The author chooses four notable personalities – Henry Manning, Florence Nightingale, Thomas Arnold, and Charles George Gordon – and uses their lives to illuminate the broader history of Victorian England. Unlike previous biographers of the time, Strachey consciously rejects romanticized images of these figures. Instead, he presents the facts of their lives “dispassionately, impartially, and without ulterior intentions.” These mythic characters take on human proportions and they prove all the more interesting for their ambition, pettiness, hypocrisy, and peculiarity. Cardinal Manning, the leader of the Catholic Church in England, becomes a merciless if conflicted self-promoter. The Crimean War nurse Nightingale is a hard-bitten health advocate haunted by memories of dying young men. Arnold appears less the champion of public school reform than an intellectual theocrat. Finally, Strachey calls into question the heroism of General Gordon’s death during the Mahdist Revolt in the Sudan; far from seeming a great strategist, the military commander parades across the pages as a tempestuous zealot, “a fighter, an enthusiast, a bold adventurer.” Strachey’s critical accounts shocked his Edwardian audience, but contemporary readers will find them fascinating for their candid portrayals of the eccentricities and passions that motivated four remarkable figures. The brief biographical sketches also offer glimpses into the history of the era. The Oxford Movement’s introduction of ritual and ceremony into the Anglican tradition frames Manning’s conversion to Catholicism, while Gordon represents a microcosm of European imperialism in Africa and Asia. The remaining subjects provide Strachey with the opportunity to investigate restrictive upper-class mores and the evolution of reform movements in British society. The interactions of these four distinguished Victorians with characters like the influential theologian John Henry Newman and Prime Minister William Gladstone go still further and elevate the biographies to the level of high politics. As such, the author provides an accessible narrative that emphasizes the role of individuals in shaping the recent history of Great Britain. 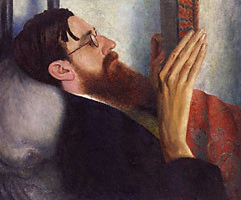 Strachey’s book heralded a new age of biographical study, but his fluid prose and charming style account for the work’s ability to transcend its time and still speak to us today. More detailed and scandalous investigations of nineteenth century Britain and its most famous citizens have since appeared, and many delve deeper into the historical record than does Eminent Victorians, which relies almost exclusively on earlier histories and collected letters. Yet Strachey’s vivid prose, artless erudition, and eye for detail move the stories along at a fast pace, simultaneously educating and entertaining in equal doses. A somewhat sardonic tone pervades the book, but the critical distance and the wry allusions recall the feeling of a conversation with an especially learned friend. As much a literary experience as a lesson in history, Strachey’s Eminent Victorians continues to attract new readers simply because it offers such a pleasurable and increasingly rare integration of scholarship, writing, and wit.